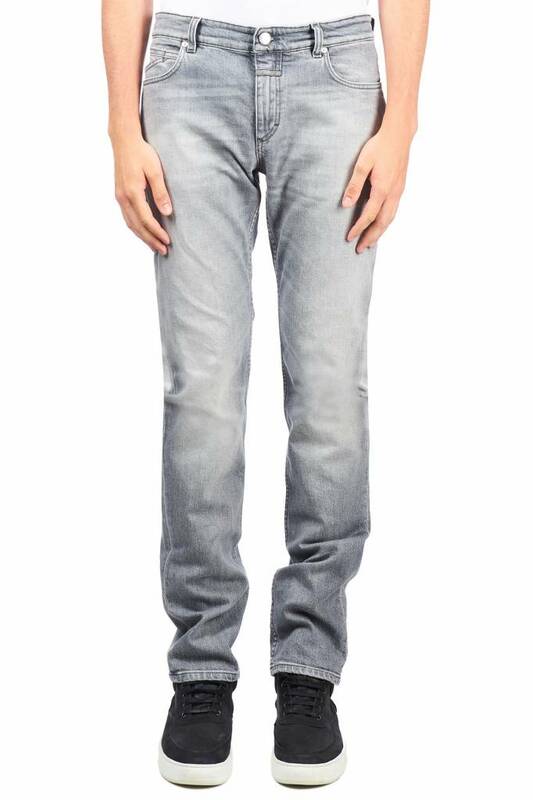 5-pocket jeans made of strong grey denim (12 oz.) with slight salt 'n pepper effect by Candiani. Strong wash and raw edges. Light elasticity (up to 20%). Button and zip, X-coin pocket, X-latch at right back pocket and Closed leather patch. 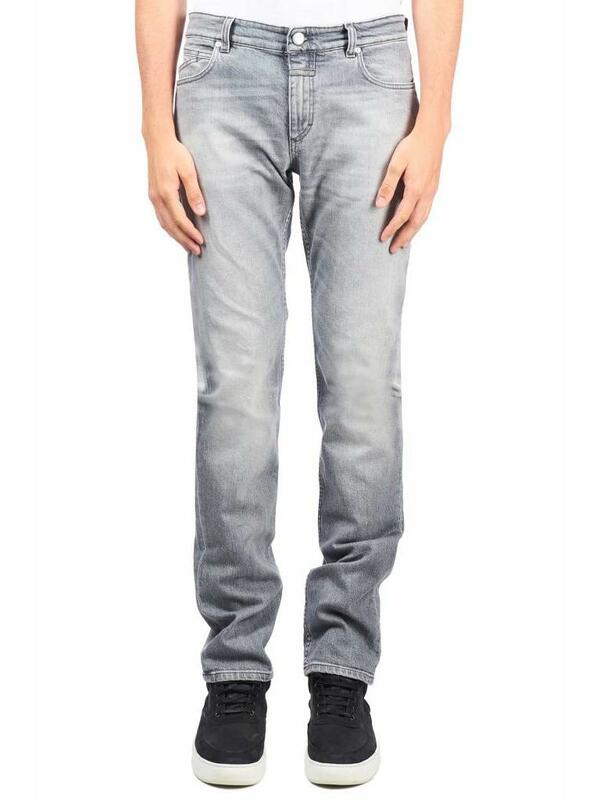 From fabric to finish: this jeans is 100% made in Italy.